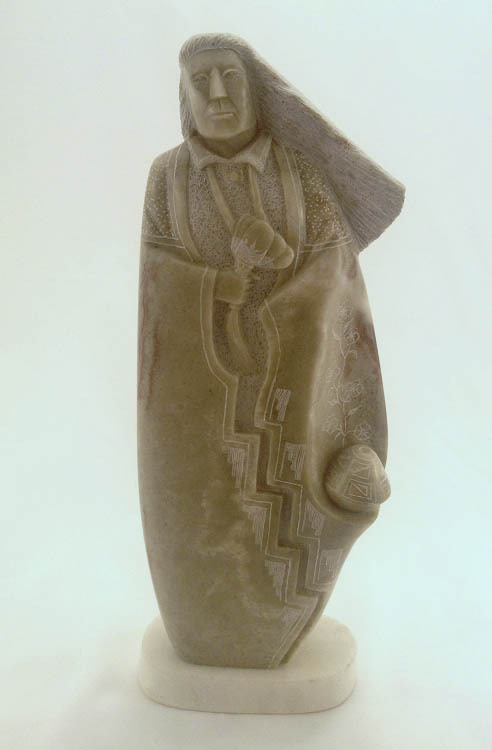 Alabaster Sculpture - 2" x 5" x 14" Navajo Stone Sculptures are carved entirely by hand using native Alabaster from the Four Corners areas of Utah, Arizona, New Mexico and Colorado. Because it is relatively easy to shape and will polish to a high luster, it has traditionally been a favorite medium of many Navajo artists. Being handmade each sculpture is original and unique.